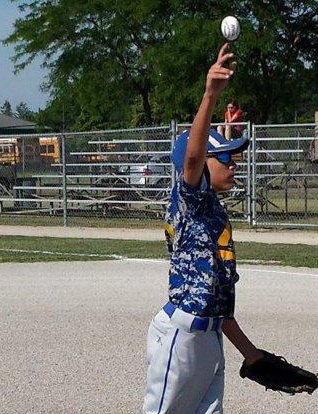 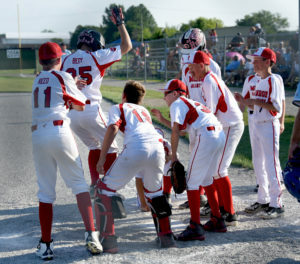 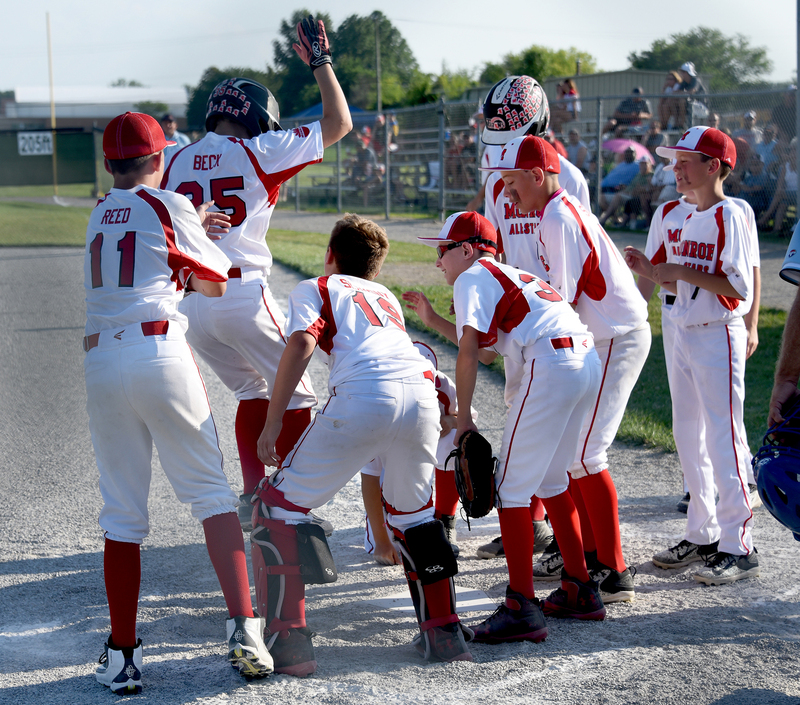 Roman Beck of the Monroe All Stars is greeted by his teammates after hitting a solo homerun against Bedford North All Stars Tuesday. 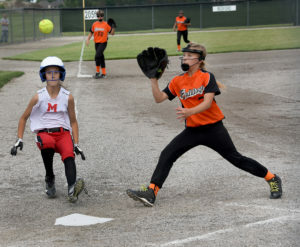 Kara Danish of the Monroe All Stars slides safely into home plate on a pass ball as pitcher Ava Fisher of Summerfield All Stars takes the throw in the Monroe County Fair Tournament Monday. 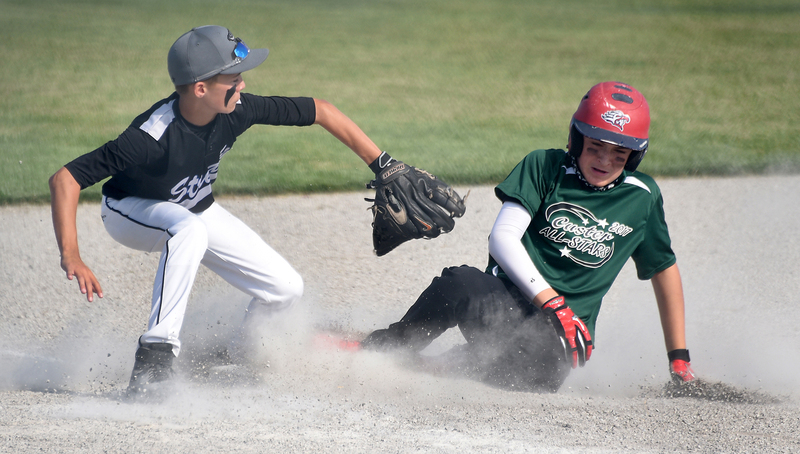 Owen Yount of the Monroe All Stars takes third base on a fly ball out to right field as Bedford North All Star third baseman Zach McGraw takes the throw. 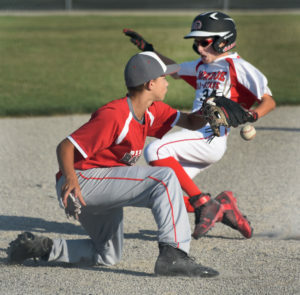 Noah Miller of the Custer All Stars slides into third base for a triple as Nate Miller of Ida All Stars waited for the throw in the Monroe County Fair Tournament Monday.